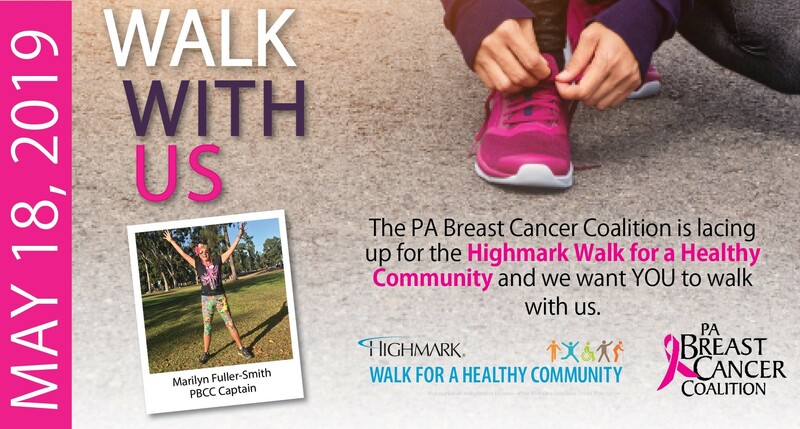 The PA Breast Cancer Coalition is proud to participate in the Highmark Walk for a Healthy Community taking place on May 18, 2019 at Harrisburg Area Community College! 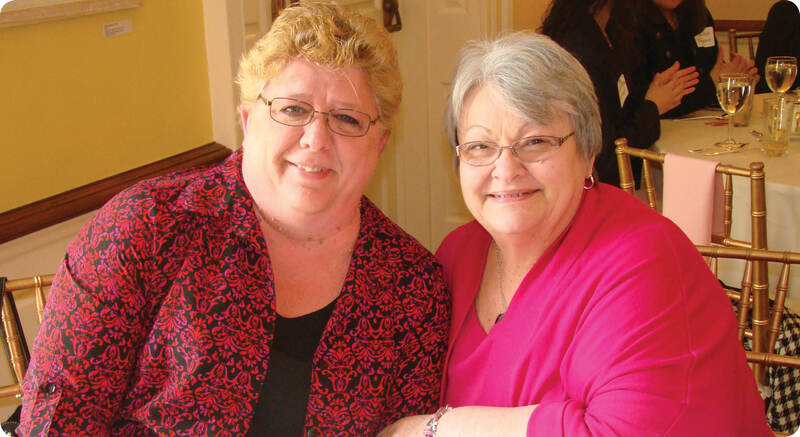 Create a team, walk as an individual or join PBCC Captain Marilyn-Fuller Smith! Join us as we fight breast cancer on foot this Spring! 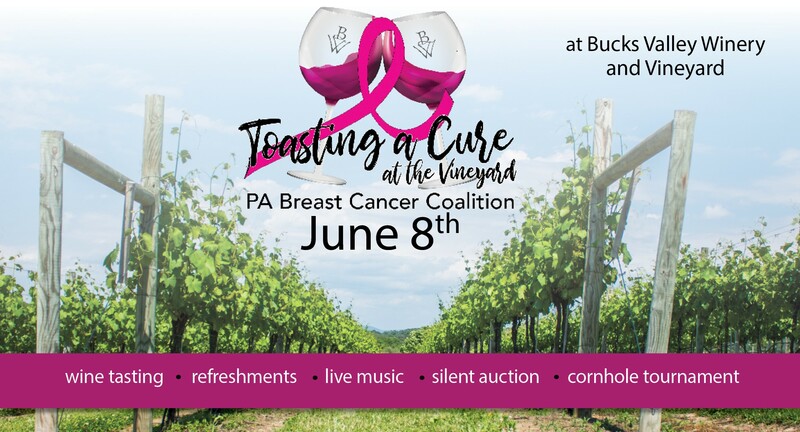 Join us on June 8, 2019 at Bucks Valley Winery & Vineyard to celebrate the 5th Annual Toasting a Cure at the Vineyard! Enjoy wine tasting, refreshments, corn hole and a silent auction! Entertainment provided by Dovetail & Root 74 with special guest Alicia Richards! 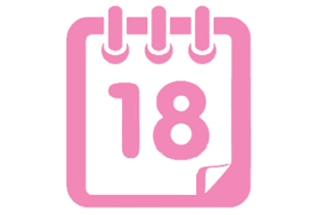 Are you passionate about helping women with breast cancer and their families? Register now to be a PBCC volunteer! Our volunteers are the heart of the Coalition, attending events across the state, speaking about their personal experiences and filling free care packages with custom resources for survivors. We couldn't do what we do without them! Did you know? Governor Tom Wolf made Pennsylvania the first state in the nation to require insurance coverage of 3D screening mammograms for women insured under PA law. 3D mammograms offer better detection and fewer false alarms. 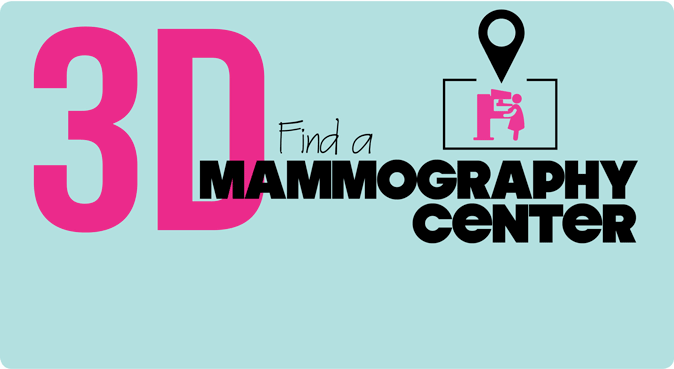 Click here to find a 3D mammography center near you. If you need a mammogram or if you have been diagnosed with breast cancer and need FREE Treatment, PA's HealthyWoman Program is here to help. 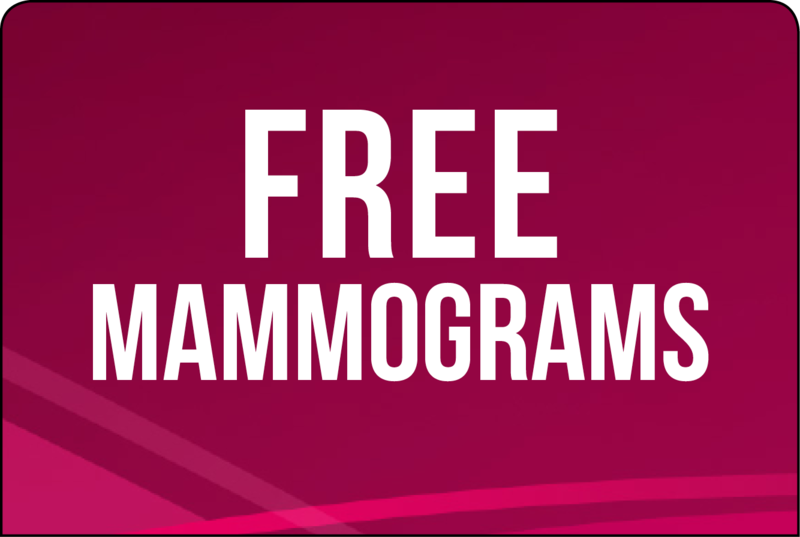 HealthyWoman provides free mammograms (including 3D!) to women of low to moderate income. Click here to learn more. 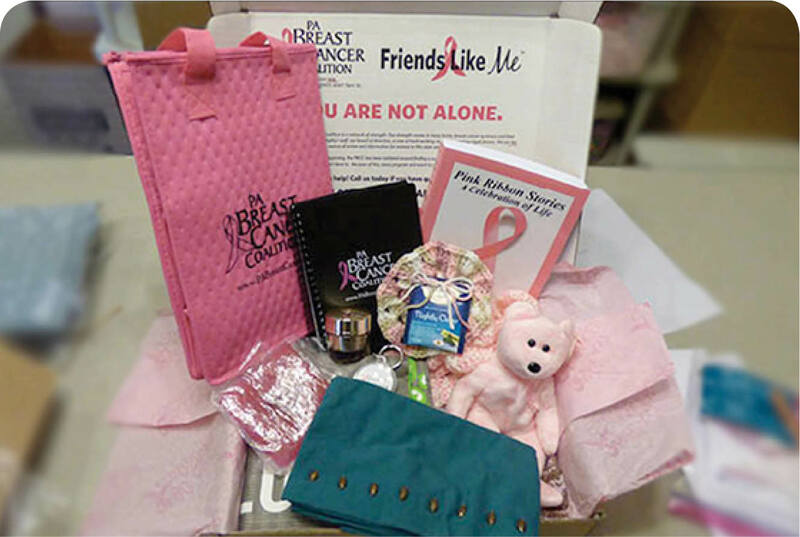 The PA Breast Cancer Coalition offers FREE care packages through its Friends Like Me program to women recently diagnosed with breast cancer in PA. If you or a loved one lives in PA and has been diagnosed within the past 6 months, click here to request a package today! Show your commitment to breast cancer awareness everywhere you go. A portion of your purchase goes to the PA Breast Cancer Coalition! 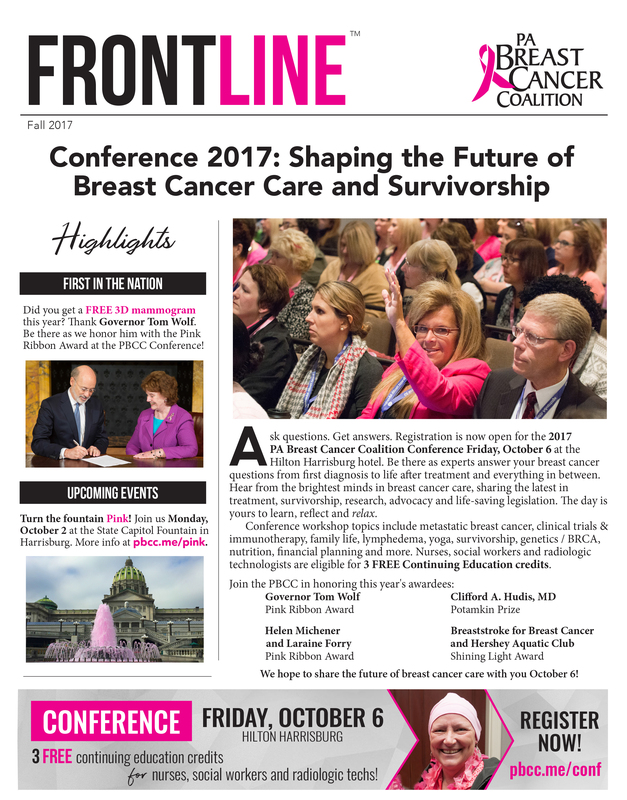 Don't miss the latest Pennsylvania breast cancer news and events in our print newsletter, Frontline and our eNewsletter PinkLink! Click here to subscribe to PBCC publications.